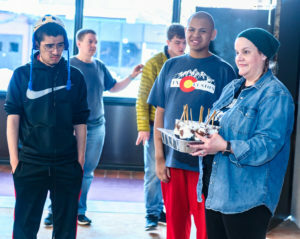 Meet the 2019 Large Nonprofit Organizations of the Year finalists, presented by Fireside Production: Habitat for Humanity of Metro Denver, Laradon and We Don’t Waste. These nonprofits are impacting not only the lives of those they serve, but they’re shaping the region through their work. The winner will be announced live on May 1. Building community for over 40 years. Habitat for Humanity of Metro Denver envisions a world where everyone has a decent and affordable place to live. Habitat empowers people to become self-reliant by building their own homes alongside over 20,000 local volunteers and paying affordable mortgages. Since 1979, Habitat has served nearly 1,000 families in Denver, with a goal to serve 200 more in 2019 alone. They’re helping families succeed – 70 percent of families feel they’re doing better financially after moving into their home and 98 percent of children who grow up in Habitat home graduate from high school. Habitat also preserves affordable housing through critical repairs for low-income homeowners. Laradon has provided superior, individualized services to children and adults with intellectual, developmental and other disabilities, supporting their independence in daily life and maximizing their full potential since 1948. Laradon’s 15 community-based programs focus on teaching personal, educational, vocational and independent living skills. “We want to create a community where everyone has an opportunity, and that includes those with disabilities,” said Laradon CEO Doug McNeill. Laradon is thinking differently about how they do businesses and leveraging their greatest asset: their campus in Globeville. And they are investing $6 million in campus improvements, from creating 91 units of affordable housing – available to people with disabilities, Laradon staff and those who qualify for affordable housing – to a residential child care facility for 24/7 care. Bringing fresh, quality foods to those in need. We Don’t Waste is an innovative food provider for the hungry, gathering excess food from venues, caterers, restaurants and other local food purveyors, and redistributing these healthy items to underserved populations in Denver and across the Front Range. By gathering and redistributing excess food and placing it in the hands of the hungry, We Don’t Waste promotes a sustainable and resourceful environment directly benefiting those in need. 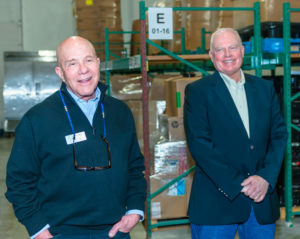 Last year, they added more food storage equipment – allowing them to safely store perishable foods, and more importantly, no longer decline any donations. Because of that, they distributed an additional 3 million servings of food. And, they’re going mobile with a Mobile Food Market in area food deserts, starting in Globeville-Elyria-Swansea.